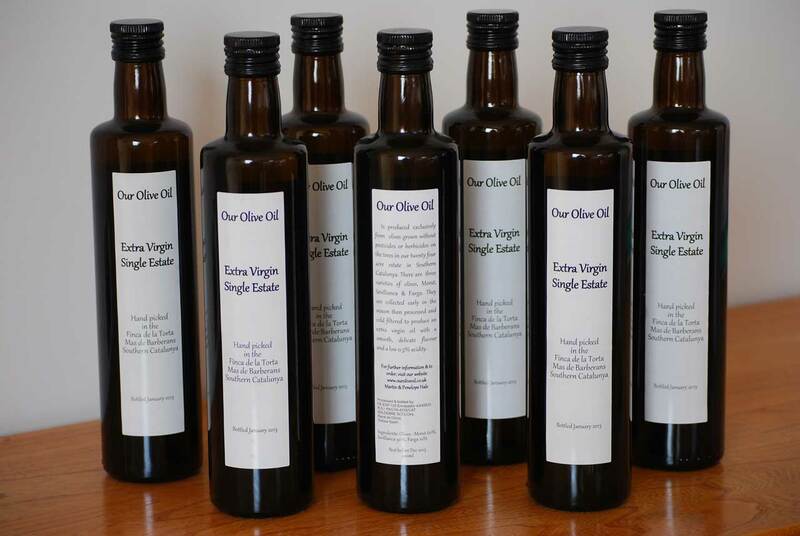 Since the success of our first commercial harvest of Our Olive Oil which is now sold out, we have been working hard to follow up with an even better oil. However we have now sold out all our current stock of olive oil and can only hope for a good harvest in October/November this year. Until then keep your fingers crossed for clement weather to help us grow the quality of the olives we need to make our exceptional Extra Virgin olive oil. Our Olive Oil is cultivated from olives grown in our own groves, then collected and sold by ourselves. Only the processing and bottling are managed by a professional co-operative. This ensures that you can be confident that you are buying from a single source supplier whose sole aim is to provide the best quality product on the market. This year's harvest has produced an extremely high quality Extra Virgin olive oil. With an very low acidity of 0.3%, which is well below the upper limit (0.8%) for Extra Virgin olive oil. All the olives were hand collected onto nets, ensuring they were pressed whilst in prime condition. The fresh green flavour with light peppery finish, derives from the three varieties of tree grow in our land, Morut (Moruda), Sevillianca and Farga and early harvesting of their olives. With an average of 5,000/10,000 kilos of olives collected each autumn and a rendition of 10%, we produce between 500-1,000 litres of oil per year. We are bringing some more olive trees into production this year and next year, so we hope that in the future we will be able to produce up to 2,000 litres per year whilst maintaining the same quality. Our olive groves were a derelict wilderness when we purchased the land and no pesticides or herbicides have been used on them for well over 15 years. The trees are fertilised using pig manure from local farms. There are a number of beehives kept on the finca and the bees are constant sight and sound as they pollinate our trees and flowers. We do not plough the gound between the trees until after the end of the spring flowering, to ensure the bees can collect all the pollen they need. At the moment, we have not applied for official organic status as our cooperative would also need certification. However we can assure you that the olives produced have only been touched by the rain, wind, bees and our own hands.